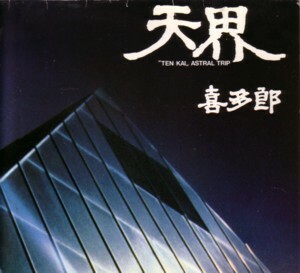 Recently I bought the LP Astral trip by sound creator Kitaro, which was recorded in 1977. While listening to this Oriental synthesizer music, it reminded me of Superclean Dream Machine. Superclean Dream Machine was a radio show that Ad Visser did long time ago. But with my kind of memory it is impossible to tell you when it was on air, or for how many years the show ran. All I remember is that Ad Visser played the vague synthesizer music that I only learned to love much later. This show must have been in the late seventies or early eighties, I guess. I didn’t buy my first synthesizer LP before the nineties. I listened to this show because I listened to the radio every evening, and it definitely had some magic, although I had not a much of a clue what the magic was. I was into rock’n’roll and disco, and the trippy space tunes that Ad Visser played had nothing to do with that. So far my search for cassette tapes of Superclean Dream Machine has resulted in only two tapes. I bought them together with a few dozen other tapes that once belonged to synthesizer fan. He or she had recorded many LP’s by artists that were regular guests in Superclean Dream Machine, like Jean Michel Jarre, Klaus Schultze and Kitaro. In the box with tapes was also a tape of another synthesizer radio show, named Malibou . I have no memories of this show. So if there is somebody who knows more about all this, I would love to hear that. Here is a fragment of one of my tapes. It played well when I bought it (which is already a few years ago), but when I played it again tonight, it began to add some strange sound effects to the original radio show. But people like us don’t mind that, do we? I´m from germany and I would like to know if you are interested in talking a few about SCDM. By the way if possible I would prefare to talk in german, but I´m sorry I don´t speak netherlands at all! Interesse? Habe bei meinen alten Casetten einige Super Clean Dream Machine Aufnahmen gefunden und sie in MP3 übertragen. Das ist super! Ja, Ich habe sehr viel Interesse! Mein Deutsch ist leider nicht so gut. Aber ich kan es verstehn. Could you send a list with groups/episodes. I’m searching for a few particular episodes. Sorry, I don´t know the recorded time. May be you´ll find them by the groups. The list of the groups is not ready yet. May be later. At the moment I´m transfering to mp3 some very old fragments of SCDM, not real good condition but very old. For example one with Jetro Tull s first record, so it must be taped in 1967 . Some of my tapes of SCDM has the former speeker Ad Srawesande. Sorry, but I don´t know how to write exactly. My question is, is there a list available already of which albums he played when? I’ve got lots of tapes I recorded in those days, and I scribbled down the dates of recording on most of them, but many of the tracks I can’t identify. Especially the instrumental pieces… songs with vocals are often identifyable by searching for their lyrics on the net. So, is there a list? It doesn’t have to be complete; I can even help complete it by filling in the things I do know. sorry, but I can`t find any dates at my records. Do you know when SCDM stardet and when it ended? Respectively can you tell me the eldest date of your recaords and the last? Did you transfer your records to mp3 already? did you get the Email I have send 1 week ago? Yes, I did! I thought I had answered allready. I’ll shall look again. I didn’t discover SCDM until halfway through the seventies, so I don’t have any recordings from the earlier days. The tapes I do have left are mostly from the period 1977 through 1980. Maybe there are some earlier ones, but I don’t have those markes as recorded from the SCDM. According to http://sites.3fm.nl/page/ultimaterequest_history/65467, Ad Visser presented the program from 15 May 1968 until 29 September 1980. It had been on before that, presented by Ad ‘s-Gravesande, but I can’t find the exact starting date. many thanx for this information!!! So some of my fragments of taping SCDM must be of 1967/8 for Ad´s-Gravesande is speeking. Unfortunately they are not in a good condition. because recorded in Köln I was living there,they are mono, with fading away the station and sometimes fragments of older records in the background. Nevertheless they are very interestind and I have transfered to mp3 and will post if I have made an upload to rapidshare! Yes, please! Your previous postings brought back memories. Perhaps I have some partial recordings of scdm mid 70ies. I’ll try to find them. Many of the tapes I have left have deteriorated somewhat in sound quality, but some of them have kept nice, None of the recordings I have are 100% complete though; recording a full hour in one go would have required a C120 cassette, and I didn’t buy those, because the tape on them was thinner than the tape on C60s and C90s. So all my ScDM recordings have missing bits in them at one point or another, where the tape ended. In addition, I usually stopped the recorder when Ad Visser was talking, because I was more interested in the music than in him. And I re-used many tapes later, after I had bought the records that he played. 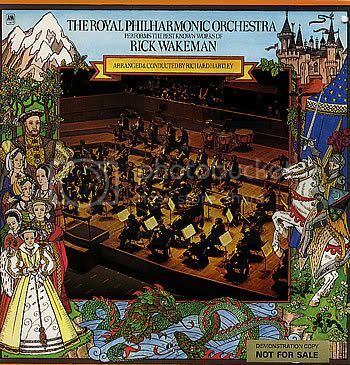 Do you, by any chance have the orchestral version of Rick Wakeman’s “King Arthur and the knights of the round table” it was a promo LP that Ad Visser played, that never made it to a release in the Netherlands. My own tape is mono and of poor quality. I used 60min, 90min and 120min casettes. But today only 120min cassettes are working very fine, because they have a better mechanism! So most of the 60min cassettes I had to put the tape into a 120min cassette and there it worked again well! I will put all of my scdm to rapidshare, even if they are not very good. So everyboda can decide by himself if it is good enough to keep or not. Here are those of my fisrt period recorded when I was living in cologne. Not good condition but rare I think. But most are only fragments! thanx to Pim! I did download and its great! Wow! Thanks Lothar and Pim. Lothar, I admire your discipline to get that many tapes converted in such a short time. I don’t have nearly that many scdm’s left. By the way, sorry about the double postings. I think I know what caused them now and I can try to avoid them. Jan, I know only one version of Rick Wakeman’s King Arthur. I’d be interested in hearing other versions, even if only in mono. By the way, for people who are interested, I do recognise the second bit on the tape that Frits uploaded; it’s definitely “Frank Herbert” by Klaus Schulze, from the double album “X”. And the first bit is very damaged, but it could be “Tropic of Capricorn” by Edgar Froese from his double album “Ages”. Guys … I can’t up with you! I can only download one at a time and it goes rather slowly. But eventually I’ll download them all. I’ve allready heard a few episodes that I remember having recorded myself but lost, like the one with Bram Tjaikovsky. The orchestral King Arthur will probably surface coming weekend. Hang on. thanx to new Scdm. It took 1 week to download because rapidshare worked not very well. Yes, I’ve got the LP as well as the book. As far as I know, the LP has never been released on CD in its entirety, although there is a sampler CD featuring some of the tracks. Here. Ad Visser has done a lot more than SCDM and Toppop (during which he one time had to announce himself, cause he had a small synthesizer music hit, probably from the album you’re reffering to). He also released a CD with music to stimulate your brain to produce certain waves during meditation. He has written quite a few songs, one of which contains one thousand verses. He actually performed it more than once! Ehm, I noted that the downloads from rapidshare.de go a lot faster than the ones from rapidshare.com. Did you notice that as well? In that case, it’s better if I upload them to the .de site exclusively. This one, I found the first part interesting – the first 14 minutes or so. I’d have bought the LP, but I never found out any information about it. On the tape is scribbled “Heads of glass”, but that doesn’t match anything. Can’t find any references to the lyrics either. If anybody has any ideas, I’d be delighted! By the way, I’m in the process of building a list of which albums Ad Visser played when. When it’s finished, it will look a bit like this. Do you think that’s a good idea? I’m pretty sure such a list does not exist yet. But I can use a lot of input. And Lothar, can I provide links to your downloads? This is a great job! The downloading is a pain-in-the-*ss, but i love all this enthousiasm. Oops, forgot to mention this one. Hee Frits, I hope you didn’t mind me advertising for my own site. many thanx for this new MP3 of SCDM ! Have started the download. You can use all of scdm mp3 and links of course. But I did it as free user. Will they disapear after some weeks, isn´t it? I think it woul be better you make a new upload as premium user if you are. By the way: Did you try to contact Jac. Huswinus of the page http://www.emportal.info/viewtopic.php?p=20217 ? No, sorry, I’m not a premium member, so my files will vaporise too if nobody downloads them. Anyway, I’ve been doing some more sleuthing, and I think I’ve got the later batch of your mp3s all dated now. The results are on the 1979 and 1980 pages of my site. The 1978 page is coming along nice now, I’ve converted over half of the tapes from that period to MP3. Here are the latest ones. Thanks for your answer. Yes, that is Thijs van Leer (or as he called himself at the time, Tys van Leer), from the album Nice to have Met you. But what I really want to know is the two instrumental tracks at the beginning and the end of this show. Ad Visser never mentions anything about them, and I haven’t been able to find out anything about them. Do they sound familiar? Do they remind you of anything? Not really Pim, I’m sorry. It sounds like typical 70’s synth pop to me, maybe it’s music of the French band Space? Meanwhile, I’ve converted more of my tapes to MP3. Oops, I see I made a copy&paste error there. Sorry. You don’t need to download the 09-18 file twice. Strolenberg! I know your name. From KLEM magazine and everything to do with electronic music. You turn up everwhere. Maybe I’ll pass you on the E-Live day, next month, and and we won’t even know who we are. Anyway, you won’t have heard of me, since I’m only a consumer. I will check the content of those new files as well in a short while..
the end (25:50 til end) must almost be Synergy, when one hears those rolling Moog sequencer sounds. I think the track comes from his album “Games”. Thanks for the pointer to Synergy. I listened to some samples on the net and I was able to identify both pieces; they’re from Cords. Thanks! Meanwhile I’ve put some more info on my site with direct links to the music I haven’t been able to identify yet. That way I hope it’ll be easier for people to listen to them and tell me what they are. many thanx again for your scdm files!!!!! here is side two of my surprisingly found old tape. 100 minutes of fragments of 1969 and 1970 too. a few pieces are also on part1. sometimes radio station is fading but remember it is recorded in köln, normally to far away from the radiostation to be able to get it – at that time. Probably my last tapes of scdm. I think ithe last 2 links have been already on former links. But they should be my original record . By the way: this old scdm sessions have been orinal broadcasted in mono as ad´s gravesande says in one of those records. Hey, that’s great! I thought you said you’d already ran out of tapes. And here is my new batch. I now get a notice when uploading to rapidshare that files can only be downloaded 10 times. Was that always the case, or is that new? I like doing that! All those old tapes, I never play them any more, since I have moved over to MP3 files. Playing music from cassette tapes has become cumbersome. But now I’m rediscovering all this music from years ago and it brings back a lot of memories! I didn’t know I would still enjoy it all so much! It’s wonderful! And it takes only a one-time effort to convert each of those tapes to MP3. So from now on I can play those songs whenever I want, from the comfort of my office chair. That´s it!!! A lot of memories!!! And I recognize that I´m still loving this kind of music that SCDM had broadcasted! Thanks again to Pim for this wonderful tapes!!! I’m nearly done now, unless I find the tapes back that I seem to have mislaid. and there were two broadcasts already uploaded by Lothar, where I found I had recorded different pieces of the programme than he had. So using his and my recordings, I have reconstructed the broadcasts. Here they are. And that’s the last of it. Unless I find the missing tapes back. the music of Jons Pistoor. Are you sure it was Jons Pistoor solo? A google search doesn’t reveal any solo work by him from that period, only collaborations. I think it was the music of Jons Pistoor performed by studio musicians. Maybe it was only recorded on tape. Found another one, some 35 minutes, from 15 Nov 1976. Just be aware that the ‘digitiser’ has messed a few things up a bit, ie.not professionally done. The music on that tape is quite distinct. Didn’t take me long to find out what it was: David Bedford – The Odyssey. I’ll make a note of that. And thanks for the info on the Pousette-Dart band. You know, I could just as easily be mistaken; it most likely was 14 August. I just wouldn’t know what was played on 21 August then, so I assumed it was this. I tried to download 1980-09-01 – I still remember the bit ‘Do you understand Mr Ohira do you understand?’ so it would be nice to hear that program again, Unfortunately rapidshare tells me the file does not exist, so I guess it has expired. Could – whoever it was- post it again? thanks! OK, I’ve updated a number of links now and I think my site is all good to go again! If there are any other broadcasts that fail to download, you can contact me through my site. I found another one missing from your list, 20th June 1977, its JJ Cale ‘Guts’, and Philip Glass ‘Reis naar de Poolster’ (I could not find any information on that last album). It’s here: http://rapidshare.com/files/216324166/SCDM20-06-1977.mp3 I think I still have one or two tapes left that is not in the selection here already, so in due course I’ll do that. (29Nov76: Ange Par Les Fils De Mandrin, and unknown 19Jun78). Other comments: Question about 2 -1-78: I have that recording as well, indeed marked Kayak Starlight dancer and BlowOut. PS 1977-10-10 is the correct date for Creme and Godley Consequences, as I have it marked on one of my tapes. Philip Glass North Star 1977.
now that I’m busy anyway: I have some more dates for you: 14Feb77 ELO and Vangelis SPIRAL. Wow, this is great. Thanks for all the confirmations! There was a broadcast with Kate Bush; that was The Kick Inside. Where Ad pronounced her name to rhyme with “flush”. I had recorded that, but I erased it later and I didn’t remember what date it was, but it’s possible that it was the same broadcast as the one with Be Bop Deluxe. Neat. The record by Gordon Giltrap is indeed Perilous Journey, and “Morbio Gorge” is one of the songs on the album. And don’t be afraid of bad quality tapes. Some of my uploads are sub-standard too. It’s OK.
Hi, Here’s one for which I have a title but no date, but it must be end 77 or beginning 78. It is something unknown followed by ‘Eric Carmen: Boats against the current’ (total only 12 minutes). Ad mentions that he’s going to play 8 titles of this record, but obviously I ran out of tape long before that! Unfortunately my C120 tape with ‘works’ is a goner. It refused to play, even when I transferred the tape to another cassette. BTW I noticed a few cassettes suffer from the the little cotton pad – that presses the tape against the head- coming loose, so I keep swapping and repairing . I’m a bit behind on the downloads now, but I just wanted to say thanks again! Be back when I have listened to them all. PS The one from June 1977 was with John Cale, not JJ Cale. Hi supercleaners, i’ve stuck on some treasures! Some files i can download via rapidshare, and have listened and enjoyed. But most links give an error message, or file exist no more. Has anyone the collection complete? And could we share visa Soulseek, or a bitorrent? Yes, yes, where can I find all those SCDM episodes? Anyway, stupid thought indeed, but has anyone bothered to contact The Master (i.e. Ad Visser) about tapes and the content of his program? I happen to know where he lives….. I made a new upload of the scdm of mine as zip. But they will remain only for 60 days just like the former uploads! Hi, i am searging, because my tapes are destroyed to the music from “Mie Hali Cobuer en Bencu. It must be somewhere around mid senventies played in the scdm show presented by Ad Visser. Can some of you helped me. Hi, great to finally find all this music again. I taped SCDM once, but a few years ago my brother wanted to help me and cut out all the text by Ad Visser. Still, it was the beginning of my interest in music! I managed to download a few Lothar files, but mostly I get an error message like ‘file could not be found’. Are the files gone, or is it my mistake? I would appreciate a solution. Auch in Deutch Lothar. Hi to all! What a surprise. I thought about SDCM and found this site. Long time ago I had some tapes of SDCM from the late 70-ies, early 80-ies with Cure’s 17 seconds, Synergy, Pere Ubu … I don’t know where they are, maybe I’ll find them. If yes I will inform you. I finally connected my turntable to my computer and transferred Ad Vissers LP Sobrietas to MP3. So you will know what it sounded like. I also re-uploaded all the broadcasts I have, because they all had expired. So if you missed some, you can download them again. See my site for links. Thank you so much, Pim! Thank You Pim and Pieter! this is bringing back memories indeed ! just re-heard the 1977-09-19 episode which I had on tape also but lost it through time. . .
It’s “The King of Elfland’s Daughter” but I’ve never known who’s performing it ! Neither did I. That’s why I still have it on tape! I wanted to buy the LP, and if I would have found it, I would have used the tape for something else. But I never did. In fact, it took me a couple of decades, until the Internet came around, before I found out who the artists were. PS do you have any other episodes on tape? Found the SCDM theme a few weeks ago (Beaver & Krause – Ragnarok – As I Hear It). Worked like a time machine. It’s the kind of music I still want to swim in. I found my missing tapes back. That means I’ve recoved three new ScDM broadcasts! I also get lots of mails from people who say they taped it, but lost the tapes later. looking for scdm recording that contains david bowie (major Tom)and kayak (starlight dancer). The show was about space. I think it was in the begin of the eighties. I ruined my tape by accident. Who can help? I’ve got the broadcast with Kayak here. But there never was a song called “Major Tom”. I can’t take that risk on this pc… would divshare be an option? but aren’t you the same Jan who downloaded that file already? I mean, back in 2008 when I first started. It’s about 36 minutes, no idea which band. The SCDM end-tune is on the tape, but no voice. This is Tim Blake with Crystal Machine. Can I put this tape on my site too? Thanks! I’ve received some more ScDM MP3s, so we’re really getting somewhere now. Over 200 downloadable files on my site! See http://scdm.wikidot.com/laatste-nieuws for download links. Jan, do you still get those “high risk attack” warnings for those links? ik heb het hele jaartal al gedownload maar ik miste dit deel. Ik vind dit een geweldige site en heb genoten.dank jullie hiervoor. Als je schrijft “verloren opname” bedoel je dan dat je hem niet zelf hebt, op tape? PS If you don’t mind writing in English, you’ll reach a greater audience! Ik had die opname inderdaad op tape van een oude bandrecorder. De opname van Utopia en Jan Hammer heb ik al afgeluisterd maar dit was niet wat ik zocht. Kun je dan omschrijven waar je naar op zoek was? Wat voor muziek was het, instrumentaal, prog rock, electronisch, etc? Ik zou de muziek meer in de richting van prog rock zoeken. Ik heb al naar heel wat prog rock radio stations geluisterd waar ze ook oud materiaal draaien maar vreemd genoeg heb ik de gezochte opname nog nooit ergens gehoord. Ik bedoelde eigenlijk meer specifiek, of je je songteksten of bepaalde melodielijnen kunt herinneren etc. Maar hier kan ik helaas niets mee. Anyway, does anybody know if the SCDM was broadcasting before 15 May 1968? I keep hearing from people who say they were listting to it as early as the summer of ’67, but I never found any confirmation of that. Any kind of information is welcome! Machtige site. Zocht om “King Arthur Orchestraal”. Hier gevonden. Heb ook mail gestuurd, gevonden? I received some more ScDM recordings, but I haven’t been able to identify them. Can anybody tell me more about these? Artists, album titles, broadcast dates, etc? All information is welcome! Thank You so much for Your wonderful site. It brings back memories. You said that you may have some old tapes from the broadcasts lying about. Did you find them? Most of my cassettes I recorded in 1978 and later, not regularly. When I listened to Your broadcasts I recognize some of them. But I don’t think, I can contribute new material. Sorry to say that. Ik weet niet of het een goed idee zou zijn om de Superclean Dreammachine terug te brengen. Dat zou of een “terug-in-de-tijd” programma worden, speciaal voor ouwe lullen zoals wij, ter herinnering aan het feit dat we niet met onze tijd mee zijn gegaan, of iets met nieuwe muziek, de soort muziek die tegenwoordig geen airplay krijgt op de zender. Maar is dat dan nog wel iets voor ons? Is dat onze smaak nog wel? Het zal in ieder geval niet meer hetzelfde worden als vroeger. Aan de andere kant zou je je uiteraard niet aan een specifieke periode te hoeven vasthouden. Er is ondertussen zoveel muziek om uit te kiezen die te weinig op de radio is gedraaid. Misschien kunnen we zoiets gebruiken, onder het motto van “luister hier eens naar, het is al langer op de markt, maar de kans is aanwezig dat je het niet kent.” Ik denkt aan Ron Boots, Dead Can Dance, Andreas Vollenweider, Gandalf, The Orb, Herbie Hancock, Klaus Doldinger, om maar wat uit het hele spectrum te noemen. So I put together an MP3, a podcast if you like, of music that I like, and has receiver not enough airplay in the past couple of decades. It’s a tribute to the Superclean Dreammachine and to Ad Visser. And to music. For best effect, listen to it on Monday evening at 20:00. Hartstikke leuk, Pim. Ik heb ervan genoten! Iemand een opname van een fantastische cover van Ohio-Tin Soldiers die op SCDM is gedraaid? Bedoel je een cover van het nummer Ohio van Neil Young? De enige cover uit die tijd die ik kan vinden is die van de Isley Brothers, bedoel je die? The music of Jons Pistoor starts at 22:00, after Alex Harvey. Wow this is a nice broadcast! Thanks! I always listened with awe to Superclean Dreammachine.I still couldn’t track down the underground Ohio Cover. It was NOT the Isley Brothers BTW. Thanks Pim. I didn’t expect this after 6 years (2009-01-08)! Now I listened to the broadcast I did not hear the lyrics “The windows of the forest bring very little light”. I found out that this came from England Garden Shed Three-Piece Suite(1977). It must have been on the same tape from another broadcast. A lot more lyrics there then only that phrase! Ad Visser did play Garden Shed in the Machine later – see my site, http://www.scdm.nl/1977 – but I don’t have recording of that (yet), so I can’t say for sure.